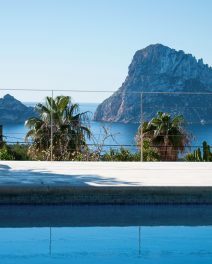 Ibiza enjoys an amazing 360 days of sunshine a year, making it one of the most pleasant places in Europe to live. And while the inhabitants relish the sunshine it can sadly also play havoc on a garden. Environmentally sensitive landscaping will not only help save water, it will also provide a home for all kinds of local pollinators, butterflies and the many beautiful birds of the island. It’s important to define what native means in this context. 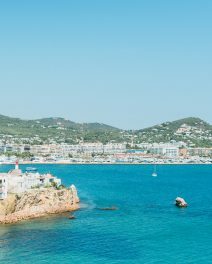 Ibiza has long been a port of call for people from all over the world. The ubiquitous olive, pomegranate and carob trees originally came with the Phoenicians, the agave from South America and the lemon from Asia. Think more in terms of water conservation and landscaping harmony when it comes to planting. Here are some firm favourites in the water happy and native arsenal to make your garden part of your island home. Some plots will come with mature orchards of olive, almond, orange, lemon or other fruit trees already. If your property doesn’t then consider planting the ever-useful lemon tree at the very least. Other natives include the sabina (Juniperus Phoenica), carob, pine (Pinus Halepensis), fig and pistachio. Every garden should have these basic Mediterranean kitchen herbs; rosemary, thyme, lavender, bay laurel, lemon verbena and sage. 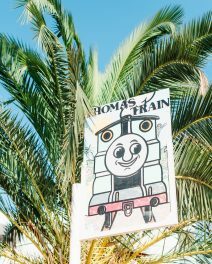 All of these herbs do very well in the Ibiza climate. The cistus or rock rose has many different sub species. 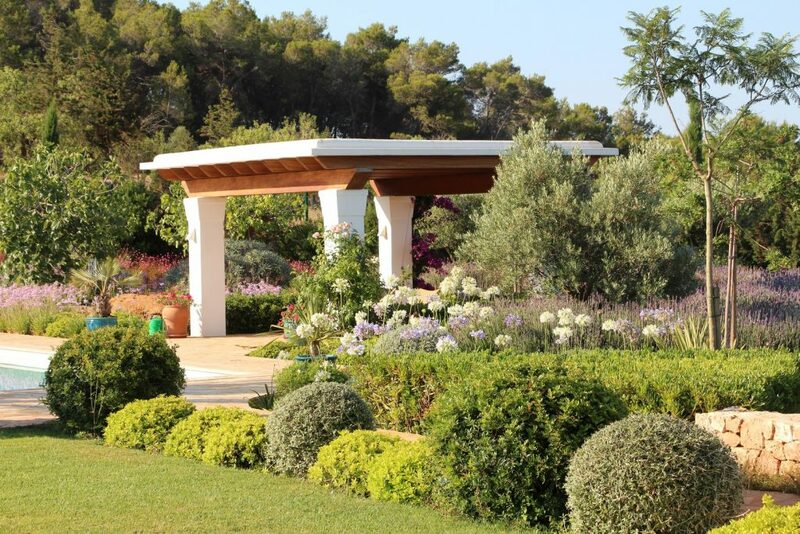 The Artemisia lanata is prolific in Ibiza with is bright pink or white flowers. It’s low maintenance, an easy one for any garden. The Rodondo creeper or dew-flower (Drosanthemum candens) has a pinkish purple flower that is particularly suited to overhanging walls. Myrtle develops a lovely white flower in late summer and can be grown into hedges. La Favorita (Aloysia gratissima) produces a sweet smelling elongated flower, which does well with good drainage against a wall.